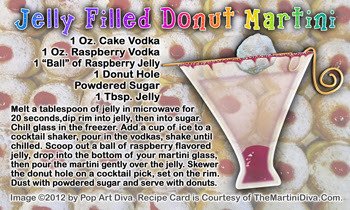 HAPPY NATIONAL JELLY FILLED DOUGHNUT DAY - Oh, Yes, I Did! Bet you didn't think I would, did you?? Well, I did. Don't get the jelly on your clothes!